Tannerite - Best Binary Exploding Rifle Target/Shot Indicator, Made in the U.S.A.
Tannerite® is here to serve you. We will do anything within our power to assist in making any transaction with you fast, affordable and friendly. Binary Exploding Rifle Targets were invented and patented by Daniel J. Tanner, of Pleasant Hill, Oregon. This is the home of Tannerite®, the only company to successfully patent the Binary Exploding Rifle Target. The only companies, besides us, that can legally sell our invention are these authorized retail dealers near you. When an order is placed through our secure online ordering page or via phone at 541-744-1406 Monday through Friday (7AM to 5PM Pacific Time), we ship it out the same day (if ordered before 3PM). Orders placed on a Saturday or Sunday will be shipped out the following Monday. Orders will be shipped via FedEx ground. Tannerite® Brand Binary Exploding Rifle Targets are shipped with NO hazmat fees, NO credit card fees, and now FREE shipping on orders over $150! We urge everyone to order early during the Holiday Season for obvious reasons. If you have additional questions regarding shipping times, please see the shipping section under FAQs. We work hard to always be in stock and our goal is to leave the customer with a great feeling about ordering through Tannerite®. 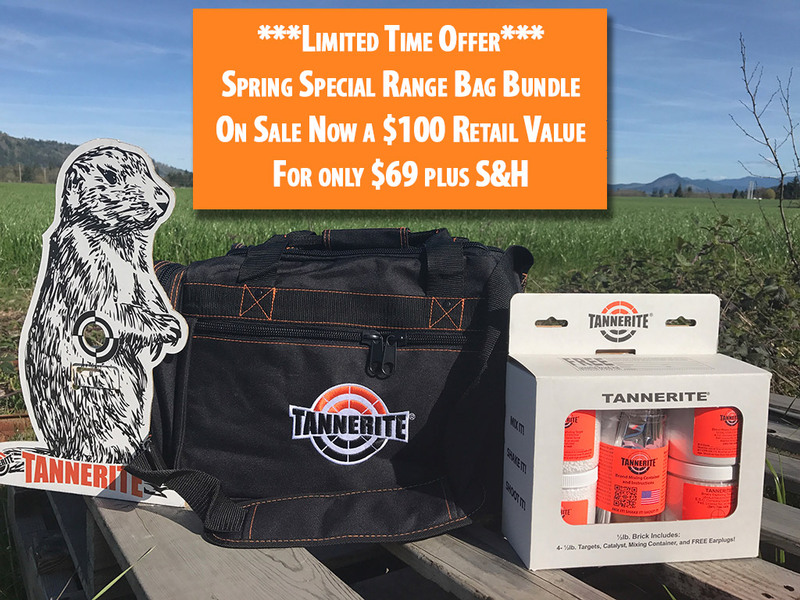 Tannerite® Brand targets are specifically designed to be safe and only initiated by a centerfire rifle, and we hold a valid patent on Binary Exploding Rifle Targets. We have spent many years perfecting our product. Since the first shipment was made in late 2000, we have worked hard to do everything we can for our customer base. We will stand by any of the products we sell. We will assure your complete and total satisfaction in every possible way. Our Exploding Rifle Targets are guaranteed 100% along with everything else we sell. You should always check and follow all state, county, and/or local laws and regulations for any applicable permit, license requirements, or other potential restrictions and conditions in your area, for possession and use of binary exploding rifle targets in unmixed and mixed forms. Note under Manufacturing: a person who combines binary targets for non-commercial purposes is exempt from Federal licensing requirements. Tannerite® has a new contact section. Feel free to send us any comments that you may have, or call us at 541-744-1406 (or 877-744-1406 toll free) anytime. Our voicemail messaging allows you to leave a message that will be returned FAST. We do not believe in operating a business under the cloak of religion but our company strives to follow the guidelines of Proverbs 3:6. We have proven over a decade that we will always do what is right for any business transaction.